For Gaviotas: A Village to Reinvent the World book group: do the assigned readings before you come to class on the date listed; enter your reading homework for these three questions here (remember to enter useful comments on your topic page, as well). 1. When I read about the school at Gaviotas, I got to thinking about this man I met from the Amazanga Tribe. He was going around the country talking to people in small-group, house gatherings trying to raise money to buy back his tribe’s ancestral lands from Valero to start a school. I think it’s called the School of Guayusca. So after being in the US for a long time, he finally did it, raised the couple thousand his tribe needed, and no the School of under construction I believe. 2. a. Community is of the utmost importance, even before the research and making money. It was the community of people that kept Gaviotas alive, not the money or the research. b. The community was founded on respect: everyone respected everyone else, and if someone showed disrespect for the community’s harmony, then they were respectfully shunned until they’d atoned. c. When the community was threatened, everyone came together to over come it: The fire, financial threats, guerillas, etc. everyone did what they could to divert the problem. 3. What does a person do to be that actively engaged in their community, how does a person love their community like that? A community must build up from the people in it, so the people in it must care deeply about it. How would you, as an individual committ to a community like that? 1. We talked a few times in class about systems. I think its very important to understand how all of the systems in Gaviotas worked. There was a system of trial and error for each new invention, havng to go through the brainstormers, and then builders (and, usually, an approval from Lugari). 2.a. students, street kids, professors, artists, natives from nearby, and people trying to escape the violence of metropolitan Columbia all came together with their own unique views to make Gaviotas work. b. Gaviotas is a community, but also, something like an employee owned corporation, donating technology to those who need it most, as long as they could get donations, or make money themselves. c. Paolo Luari was a chaismatic indivdual who managed to bring together just about the perfect group of people to make a happy, healthy, sustainable society. 3. What factors made Gaviotas a success, and what factors hindered them along the way,(what could they have done better)? Hi all! I’m not part of this group but I thought it would be cool if anyone who wants to trade books tomorrow with another group, bring your copy. 1- the whole idea of forming a community whose goals are to work together in a supportive environment & live in harmony with nature reminds me of what many of us did in the late ’60’s, early ’70’s. saddened by the vietnam war & corporate america’s co-opting of all life forms, many of us decided to “go back to the land” in the same vein as gaviotans. i personally ended up in oregon & at different times lived without running water & power; converted a chicken coop with a little help from my friends into a living space. we had our babies at home which was the return of the home birthing movement & breast feeding over chemical formulas. we began learning about & treating our health naturally, beginning the alternative health movement. i lived in a teepee for a summer with my 10 month old baby, so there was lots of experimentation with alternative, simpler living spaces, as in gaviotas. growing organic food was part of our health & respecting nature consciousness, which was considered quackery at the time & now some mainstreams docs, at least in our area, actually embrace some of these natural methods of healthcare, especially healthy eating. what we lacked was money for land & resources to do alternative energy such solar, as was true in gaviotas, except that they had educational expertise and connections to resources. some did get creative and did things like ran black hoses on the roof for solar showers. dave blume developed & wrote about making homemade fuel, ethanol, from food waste. we made things like clothes, moccasins, candles, tinctures, salves soaps, etc. i think that like gaviotas we thought we would be a model for others to emulate—well, at least eventually. unlike gaviotas, however, although many of us tried many times, we did not succeed with living together in community. we did succeed at larger community such as food co-ops and community credit unions. i think we americans are too spoiled & used to having it our way. 2- so many interesting points. a) what stands out most importantly was how they just kept trying, as with how to grow food there. i am so inspired by this. today i thought that i had discovered something cool by leaving some seedlings on the dash of my car using it as a greenhouse & they fried. my first response was, well, i guess that doesn’t work. then i thought of how the engineers at gaviotas spent 6 years at something or 2 years perfecting another and sometimes succeeded, but as with the solar refrigerator (which i love the idea) they never succeeded but the engineer said he’d continue trying. i’m trying another way of having the remaining seedlings in my car–and i watered them. b) an offshoot of that tenacity, or maybe just another form of it that i found inspiring was how they really wanted to form a new society and one that was in harmony with the ecosystem, which is what our back to the land movement was about also. there seemed to always be a conscious weighing of consequences before making choices, such as how much energy it would take them to make their own photovoltaics and the pollution control issue, deciding in the end to leave it to the first world to manage. c) the reaching out to the larger community, such as employing street kids as solar techs, touched me deeply. the reaching out included travel to learn from others in other countries. always striving to be a model led them to teach poor women to grow food hydrophonically in rooftop gardens, lifting them and their families out of dire poverty. and as the community’s technological know-how became known, it was used for large projects such as solar hot water in large apartment complexes, having a significant impact on the larger community of bogota. d) most fascinating, of course, were all of the many creative devices they developed and their ordeals with bringing them into being. the water purification system offers profound hope for the third world. 3. one question i have is an extension of sdchristensen’s which is, would any of this be possible without the abilities of engineers and paolo’s connections with knowledgeable and powerful people and all of the resources (including money)? but since that is just an extension of a question already asked, i challenge the notion that there was no hierarchy; and somewhat related, where are all the women & what were they doing? 1. 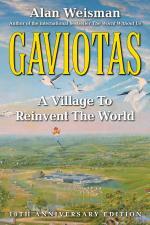 Gaviotas is built as a system, where every job, building, activity, etc. has it’s own function but also supports other functions in the community. Kids playing provides water. Sap harvest provides income and a healthy forest. Buildings provide power. People feed of one anothers’ ideas. Today’s society focuses too much on linear tracks; everything is in its own sphere of influence. But when things are revamped into a system, then the real efficiency happens, and everything really comes together into something that is more than a sum of its parts. a. Paolo was extremely effective in manifesting his vision, via his own charisma. He was assertive but very likable, and had such strong belief in his idea that people wanted to be a part of it. He enlisted the support of experts whenever he had a conundrum. b. People were allowed to gravitate toward whatever interested them. No one was forced into anything. The community relied on trust in the individual to make sure they were an important part of the community. The location perhaps helped by weeding out people who simply didn’t have their heart in the community. It was harsh, so they didn’t stay; but those who loved Gaviotas stayed no matter how rough it got, and that devotion made it thrive. c. Though Gaviotan engineers created many awesome doodads, they didn’t patent them. They weren’t for profit so much as for the benefit of humanity. This brought a humanitarian element to a profession typically thought of as being very cold. Working in and with nature, learning from nature and fellow people, and improving on one another’s designs non-competitively seem to be uniquely Gaviotan engineering criteria. 3. How can we begin to integrate lessons learned from the Gaviotas community into our own lives immediately? 2.a.The gaviotans planted long-needle pine trees which aerated the previously barren soil in the llanos. b.Gaviotas was (late 70s to mid 80s,in its greatest time of growth) populated by mostly college graduates,some llaneros, some street kids and from Bogota and some Guahibo. 1. The process of building a community and a new way of life was interesting to me, it shows that knowledge and a common goal can create harmony no matter how harsh the present environment. columbia is a violent country ravaged by the drug trade, and la violencia. the fact that the gaviotas community was established and created during the united states war on drugs and people, really shines a light on the peace that is possible in our increasingly violent world. a. in the overture section Felipe Herrera talks about a village in bolivia whom when offered the chance to have their infrastructure improved by the bank, chose instead to have new instruments for their community band. The music made by the village was what kept them together. b. during the creating of a community on the prairie paolo and his associates had an extensive process of trial and error to adapt a life style this seemed important. c. When Paolo incorporated the eccentric students and professors from the columbian university this seemed fundamental to gaviotas success. 3. if Paolo Lugari and friends hadnt recived funding grants, would they have been able establish gaviotas?